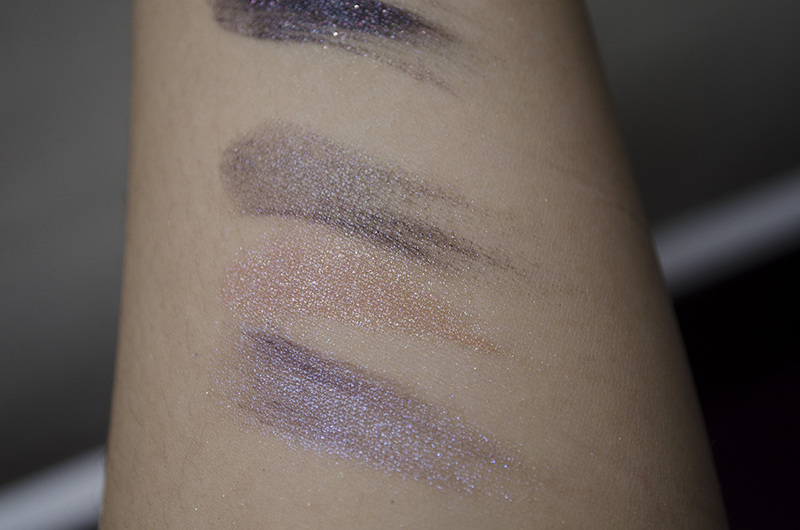 One of the stragglers from my indie makeup frenzy back in January. I was able to retrieve this package when I got back from my trip, which was late March. Currently, I think I have most of my orders from that time. I’m just missing one package from Victorian Disco, which I hope to get soon. 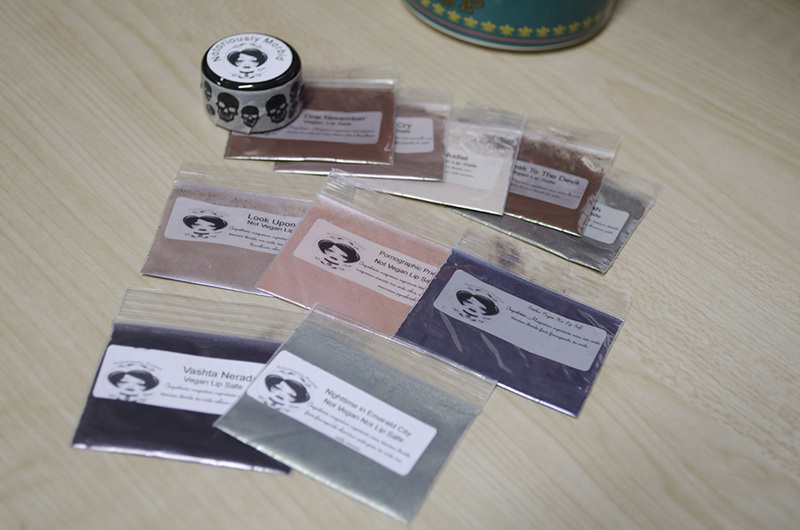 I availed of the Beauty Blogger Package (5 samples + 1 mini jar) and got myself a few other samples, too. NM included a few free samples and a Jolly Rancher pink lemonade lollipop. It was delicious. Descriptions are lifted from the NM website, on which I couldn’t find Zinthos, one of the samples I got for free. One November: “a dark brown with green, orange, and gold sparkles.” Lovely rusty brown; can’t quite make out the green sparkles. Cry Wolf Cry: “a shimmery taupe with a touch of purple sheen and silver sparkles.” A pretty purple that’s great for everyday use. Nudist: “More matte than sparkle, too matte to be called semi. 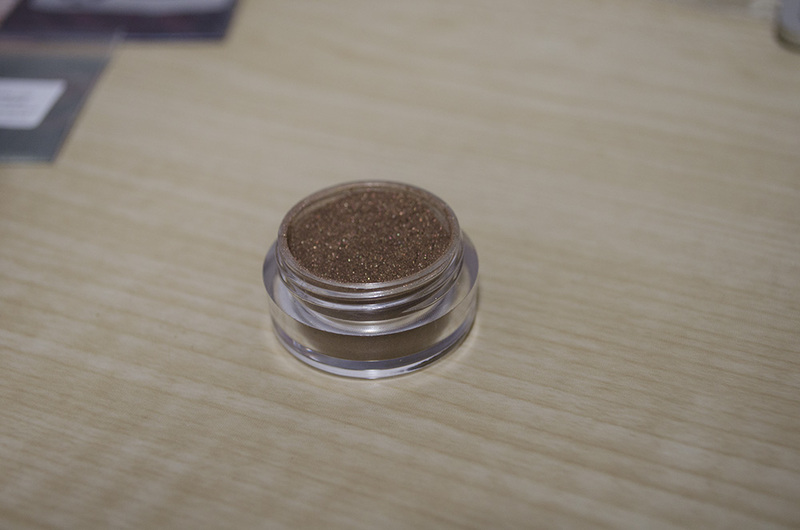 This is light brown matte with a tiny tiny tiny amount of sparkle.” This shade confuses me, but it looks super useful for many looks as it almost blends completely into my skin tone. Speak to the Devil: “a brown based golden olive with a green highlight.” Beautiful color with a smooth texture and excellent pigmentation. Kilgharrah: “a deep rich brown with gold and green sparkles and a green duochrome.” I love this shade a lot! Definitely a more complex one. Gretel’s Ghost: “a warm golden gingerbread brown.” Love this shade, definitely gingerbread-y. Look Upon Me: Appears like a dusty mauve in the jar, this color, when applied or blended,changes to a metallic purple with a blue duochrome. Pornographic Priestess: peach/pink with blue to violet shift. Vashta Nerada: soft black shadow with a hint of red shimmer and red sparkles. Nighttime in Emerald City: grayish green with lots of sparkle for a mysterious nighttime look whether you live in the Emerald City or not. Close-ups because Look Upon Me and Pornographic Priestess have a beautiful blue shift that’s actually not so obvious here. Zinthos was kind of hard to work with, even just for swatching. You can see a peek of how gorgeous Vashta Nerada is from this blurred perspective. … So I took a close-up of that, too. So pretty, I can’t. 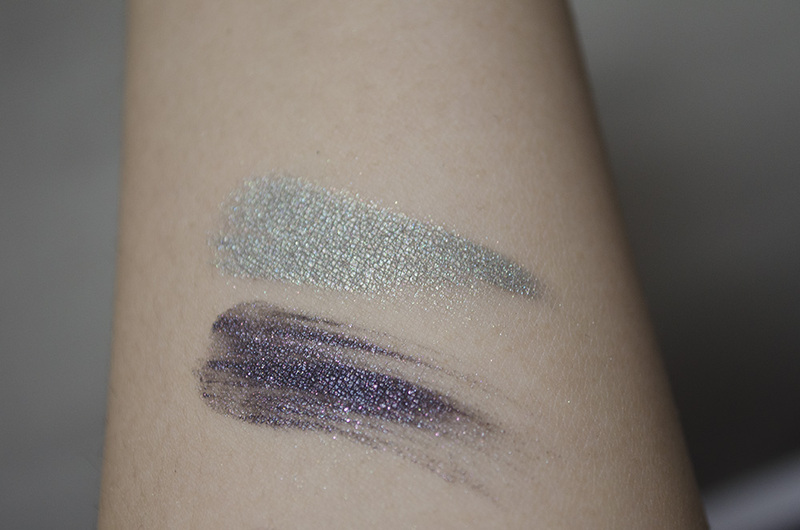 I haven’t gotten around to playing with these much, but here’s an eye look I did using Pornographic Priestess, Nighttime in Emerald City, and One November. I used Oslo’s Eye Bond Primer Wand again—over top of the NARS eye primer—and I daresay it worked really well this time. 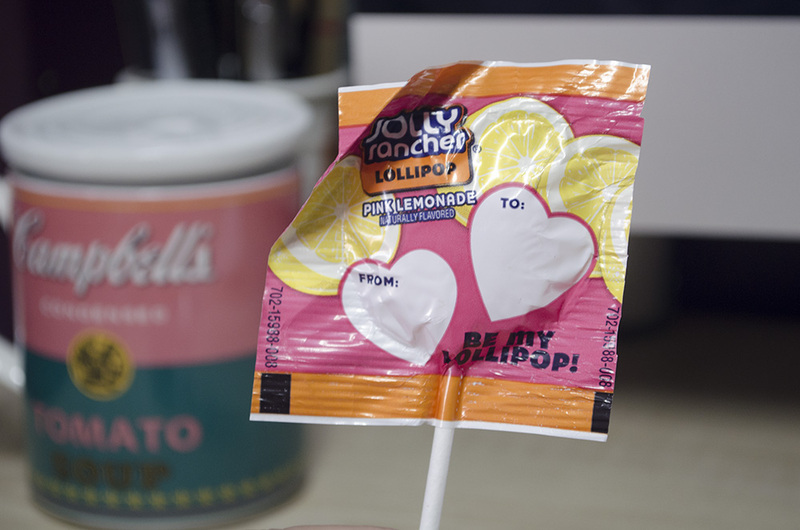 And this is the Jolly Rancher lolly I was telling you about! Ordering from Notoriously Morbid was a pleasant experience, all in all. My order was sent with a 20% off code, which I am very tempted to use on a Twin Peaks collection that they just released. YES, TWIN PEAKS. Right now, I am still able to resist. 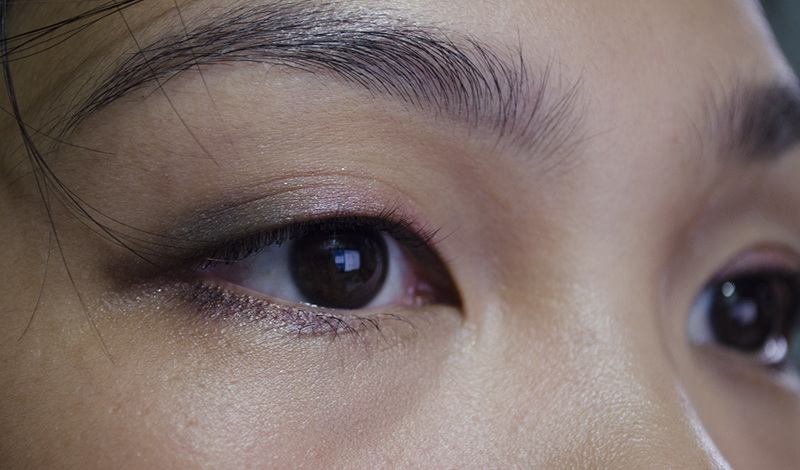 ABSOLUTELY gorgeous eye look! this is by far my favourite! I still can’t get over black eye shadows with red shimmer though I’m not sure if I can pull it off. Thank you! I’m sure you can 😀 I think the easiest way is to use it as a liner! Nighttime in emerald city is gorgeousss!! Speak to the Devil is perf! I love darker colors like that! the eye look is so pretty! 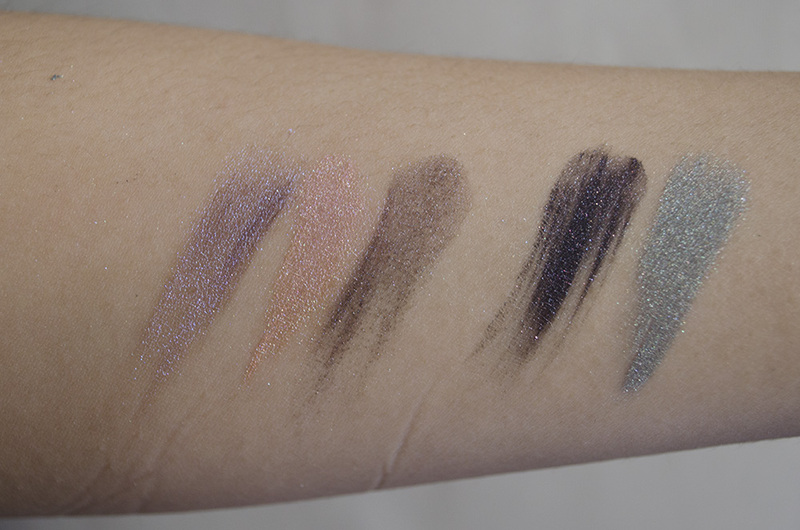 and a few of those shimmery/duo ones are gorgeous 🙂 I don’t even want to go anywhere near indie eyeshadows… another makeup pit to fall into! Thank you, Zoe! That’s what my friend Liz said, and it is pretty accurate. I’m trying really hard not to go looking for more brands to try, but it’s so hard! 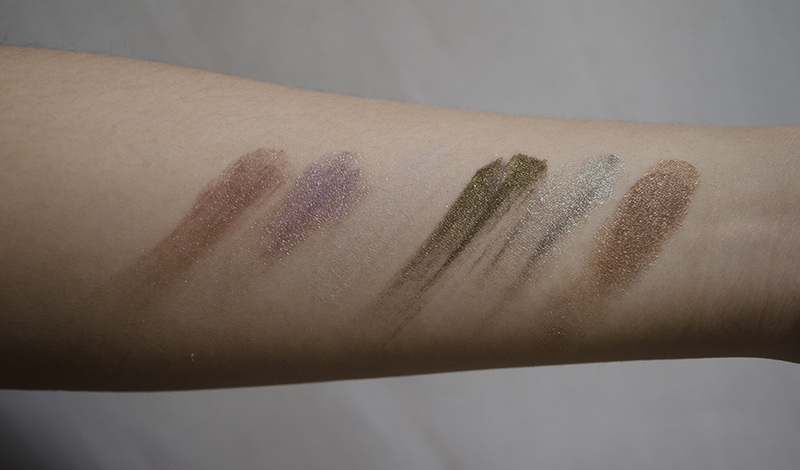 I don’t know how you choose your eye shadow shades and i can’t imagine myself picking up even samples of those colors but WOW.. The look. THE LOOK! 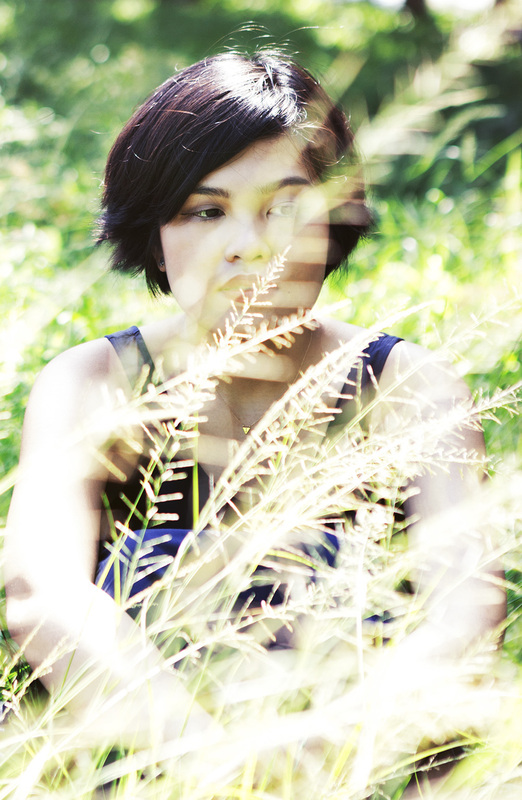 Ang ganda ng eye makeup mo huhu infuse me with your talent. HEHE thank you! ❤ My general rule is lighter color on the lid; darker in the outer 1/3. Tapos not too red/warm on the lower lash line hehe.